I sat on hold on the phone for 45 minutes yesterday. That’s not bad. I figured I would be on hold for 60 minutes. And it took much longer to get up the nerve to pick up the phone and dial. It is stressful, bordering on traumatic, every time I need to call my telecommunications provider. We live in an age and in a society in which we rely heavily on technology and the services that support this habit. Gone are the days when households paid for a telephone line and maybe some basic cable. Today’s major telecommunications companies in Canada, such as Rogers, Bell, Telus and Shaw, to name a few, began as single-service providers and grew into so much more. A typical Canadian home, like mine, subscribes to many services, including a home phone, TV cable or satellite, internet and wireless. Many telecommunications companies also offer alarm monitoring, online sports packages or even magazine subscriptions. I personally don’t have all of these, few of us do, but I have many of them. Telecommunications companies love lazy people like me. I can’t be bothered to have each service in my home from a different company, so I can play one off another and keep the price down. It’s just easier to choose one of them and maximize the value. They also love me because I like to subscribe to some premium levels of their services as I don’t have the time or energy to do much on my own. For example, some people subscribe to basic cable, then they also have Netflix and/or other downloadable, web-based options like Hulu. Or some of them dumped cable altogether and exclusively get content from a mix of web-based subscriptions. It’s a bit more work to find what you want to watch in different ways. I just can’t be bothered. I stuck to my telecommunications provider’s “VIP Cable” option and get it in one place. Eventually, I did drop my telecommunications provider’s home phone service. I was paying almost $50 per month for a phone line that was attached to my internet’s modem, and that was even too much for me. Thanks to my IT savvy brother, I switched to a fantastic option called Fongo that also is internet-based but only costs $5 per month. It’s not perfect, but it’s cheaper. And Canadians pay way too much for our wireless services. Why does data have to be so expensive? Why should I pay so much for so little? Which brings me back to where I began. I sat on hold on the phone for 45 minutes yesterday. To get more data and more Canada-wide talk time, for less than I was paying before. And to get credit on my account for a massive internet outage in my home the previous month. I knew I had to make the call and felt my heart race as I dialed the toll-free number. I upgraded my wireless services and got the full credit for the telecommunications company’s internet screw-up. But my bill is still too high and the service I receive is still not good enough. But the call is over. Until next time. *Note to my readers: My brother explained to me that one Canadian telecommunications company put out an incredible wireless deal recently, and with tremendous pressure all their competitors followed suit. I just switched to a wireless plan that gives me (yes, just my mobile device) 10 GB of data and unlimited Canada wide calling, for just $60 per month. There’s always the famous asterisk online, so read all the details if you want to get this deal too. But this deal, or at least the specific one I got, expires TODAY. So if you want it, do it now! Have you ever had a day, days or a week when many stresses or challenges all came together? Any one of them on their own can cause anxiety, but when it all happens at once you feel like your world is crashing in. You feel overwhelmed. Different kinds of emotions are all fighting each other – fear, sadness and also anger. Can you handle it? What should you do? That was me this past weekend. 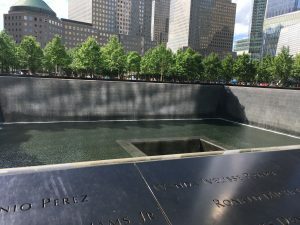 I am not going to go through the actual events and stresses that came together over a period of time to make me realize on Sunday afternoon that I was overwhelmed. Too many things that I simply couldn’t control were all happening too fast and I felt like I was starting to crumble. Anyone who knows me well knows that I am typically a strong person who has it together. I am quite capable of balancing many things at once every day in my life. And I have written extensively about all the puzzle pieces in my life that I work hard to manage every day. It’s not easy to pursue a career, raise children and run a household, all at the same time. I work every day, both mentally and physically, to keep it together. But this past weekend it was just too much. My regular puzzle pieces weren’t fitting in at all, and yes, I will admit, I fell apart. It’s a scary feeling to lose control. I felt helpless. I was overwhelmed. It was just when I was feeling very down that my aunt showed up at my house. 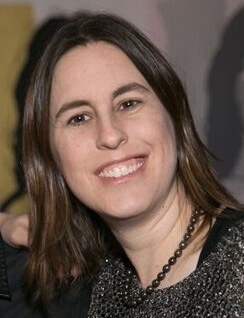 This is my Auntie Jo, the very same wonderful lady who inspired me to keep going and keep focusing to have a third child. She is one of the main reasons we are lucky to have our Tiny Miracle, Nessa, in our lives. Besides giving me the hug I needed, she calmed me down and brought me back from my confused, stressed-out state. She offered helpful advice and reminded me that being overwhelmed is okay and that I would be fine. My sister, Darcie, showed up soon after. Even though at this point there were seven children running, jumping and of course bum-walking, around my house, the zoo didn’t affect me too much. My sister was also a welcome visitor, bringing me encouragement and helping me stay centred. By early Sunday evening my house was a mess, the laundry was not clean yet and I barely strung dinner together for everyone. I will admit that I was still overwhelmed as I tidied the toys put the final load of laundry into the machine at 11:00 pm and had a late-night snack and hot shower. I’m still a bit on edge today, and my issues and challenges are not resolved. I am trying to take the time to sort them out and take each on one by one. That’s much less overwhelming. Life can hand you unwelcome anxieties every day, and I am confident that I will get through mine. Thank you to everyone who has offered advice and support. I am here for you too anytime you are overwhelmed, as a niece, sister, daughter, random relative or friend. Could it be that New York is a City of Wretched Excess? I love New York City. I lived in this city for only 18 months, 18 years ago, when I attended graduate school at New York University (NYU), and I miss it every time I leave. There’s something unique and invigorating about the smells, sounds, lights and action of the streets and alleyways. At the same time, I wonder, is it all really just wretched excess? I would consider myself to be a rather understated person. I usually dress in a relatively simple manner, I wear minimal make-up, I’m not too loud (well most of the time!) and I live in what I believe is an elegant and sophisticated home. I wouldn’t use any of those words to describe New York. This is my first time in NYC in a number of years, and I have finally come to the realization that the most descriptive terms for my beloved city are wretched excess. This trip is all about my daughter Julia, who asked me many times over the last year for a trip to New York. This weekend we are celebrating her 7th birthday and we are doing all the various activities that Julia wants to do. 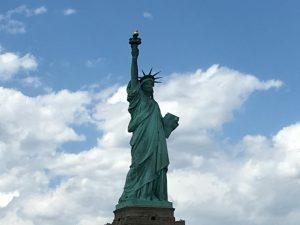 A visit to the Statue of Liberty and shopping at the Disney Store in Times Square topped her list (remember she is 7), as well as a Broadway show and Impressionist art at the MET. 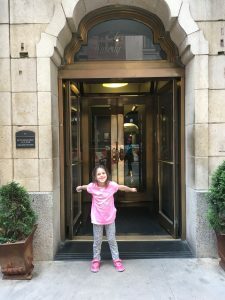 We covered a lot of ground on our first full day in the city, as I acted as both guide and tourist with my mother and daughter. I love the hustle and bustle of the city and the activity and commotion at every corner. I don’t think I will ever get used to the pushiness of many of its residents, with their elbows out at the ready to shove me aside as the sea of people attempt to get through a crowded intersection. Sometimes I feel like all of humanity either lives in New York or is also visiting New York with me this weekend. After our visit to Liberty Island, a ride up to the Statue of Liberty’s pedestal, a walk through downtown to pay our respects at the World Trade Center Memorial, a stop at NYU and Washington Square Park and some of my favourite low quality but tasty Chinese food on Bleecker street, we hopped on the subway to fulfill Julia’s dream to visit the Disney store in Times Square. If you look in the dictionary under “Times Square” I believe you will see the words wretched excess. Maybe because it was Friday night, maybe because the weather was a perfect 22 degrees Celsius (72 Fahrenheit) without a cloud in the sky or maybe I’m just much older than I was when I lived here. 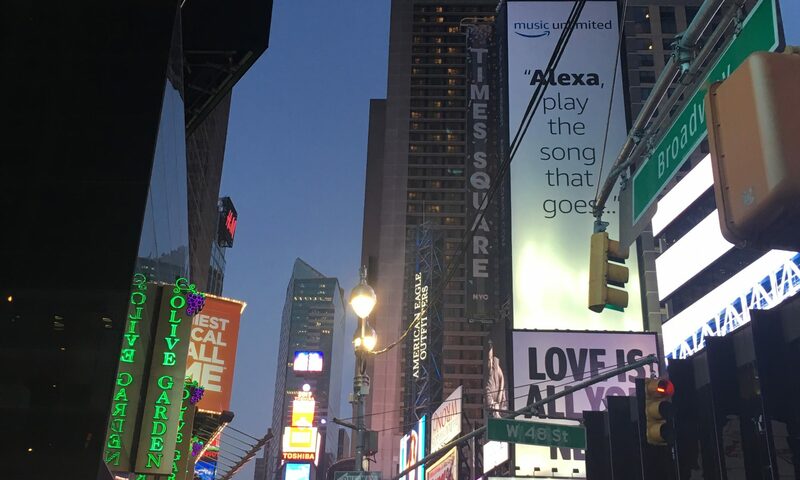 Oh my gosh Times Square was crazy! 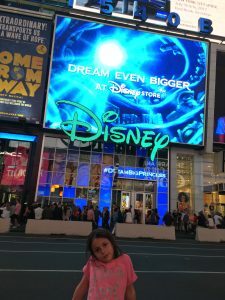 Between the flashing lights, neon signs, 30-foot high video screens, sirens, music, restaurants, bars, stores, tourists and cartoon characters trying to take a photo with my daughter (for money of course), I was overwhelmed. 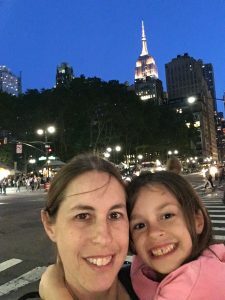 I say this from a position of being an experienced world traveler and a mother of three. 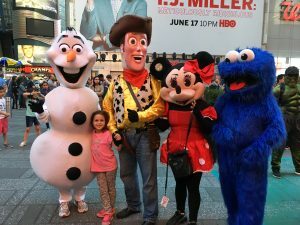 They embraced my daughter, I took a photo then they wanted money. 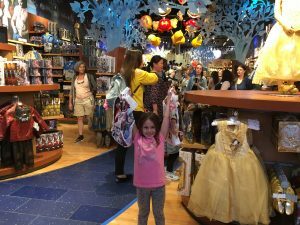 As we entered the Disney store on Broadway I could see by the look on Julia’s face that she had arrived at her utopia. Merchandise from every Disney movie and TV show, present and past, every prince and princess, hero and villain, were on display, ready to be sold to the child who could beg, plead and whine loudest to his or her parents, grandparents, guardians or unknowing adult who made the error to enter this establishment. 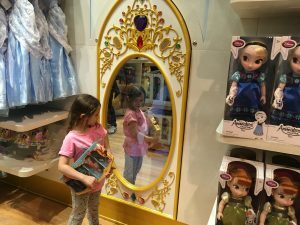 Would the Mirror grant Julia all her wishes? 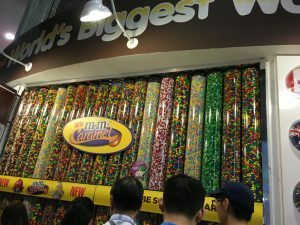 After checking out a few more places and spending too much money on items that all three of us felt we just had to have during a moment of weakness (including a 25,000 square foot M&M’s store) we decided it was time to escape the wretched excess and call it a day. We limped back to our hotel, happy that we survived the madness of Times Square. 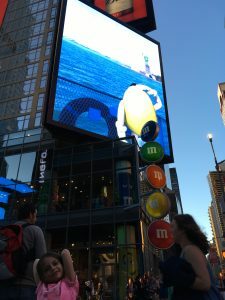 Giant screen outside the three-story 25,000 square foot M&M store. I will say it again – I love New York City. It’s wretched excess at its best (or worst), but I wouldn’t have it any other way. 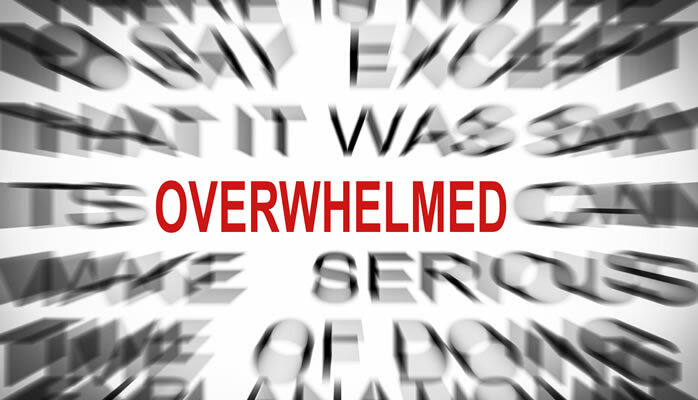 Today I am feeling overwhelmed, and I’m having trouble staying focused. The main issue that’s keeping me from accomplishing my long list of tasks is the news from Manchester from Monday evening. Beyond the horrifying thought that someone would blow himself up, intentionally, in a crowd of people, what makes me feel particularly sickened is that he chose to kill children. The people of Manchester, my family in Manchester, and those families in Manchester who are suffering today are all on my mind. I’m also suffering from the post long weekend blahs. It seems that every time we add an extra day to the weekend I need an additional day to get back on track. The kids got off to school late this morning, the baby and I were slow to get dressed, there are still dirty breakfast dishes in the kitchen sink and I only arrived at the grocery store after noon. What also is causing me to be overwhelmed on a Tuesday is that I am falling into the trap of reading too many websites and blogs about how to blog, how to create the best blog, how to optimize my SEO settings, what tags I should include in each post or the best keyword strategy. As I stated in my first post, I’m new to this. I have so much to learn, so much so that it overwhelms me on a Tuesday and I can’t move forward. Instead of becoming increasingly frustrated I am going to take a step back today and turn my attention away from the “how to” websites on “how to create the best blog.” I am going to think about the great city of Manchester and the great people who live there who have opened up their homes to many scared and helpless youth and children who did nothing wrong except go out for a night of music. 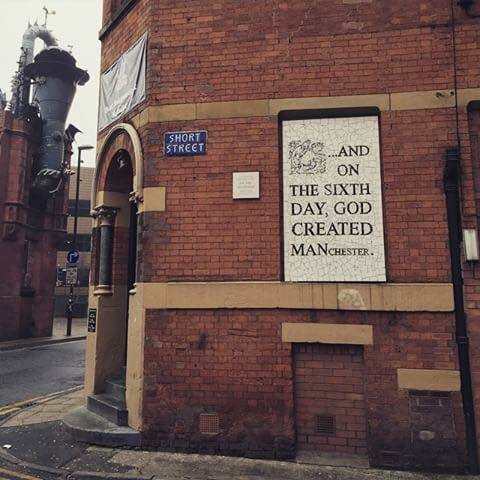 I will raise a cup of coffee (I’m in no shape for wine today) to the great citizens of Manchester (thanks to my Mancunian cousins Sarah and Jacob who provided my featured image today) who will persevere and won’t let terrorists ever terrorize them.